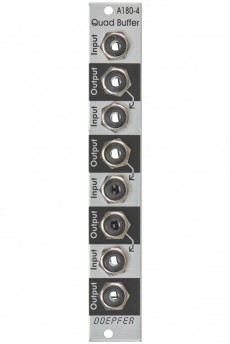 Module A-180-4 is a fourfold CV buffer. Buffers are required if the control voltage coming from a CV source shows a voltage drop in case of changing loads or due to other reasons a buffering is required. For the lower three units the input is normalled to the output of the above unit. 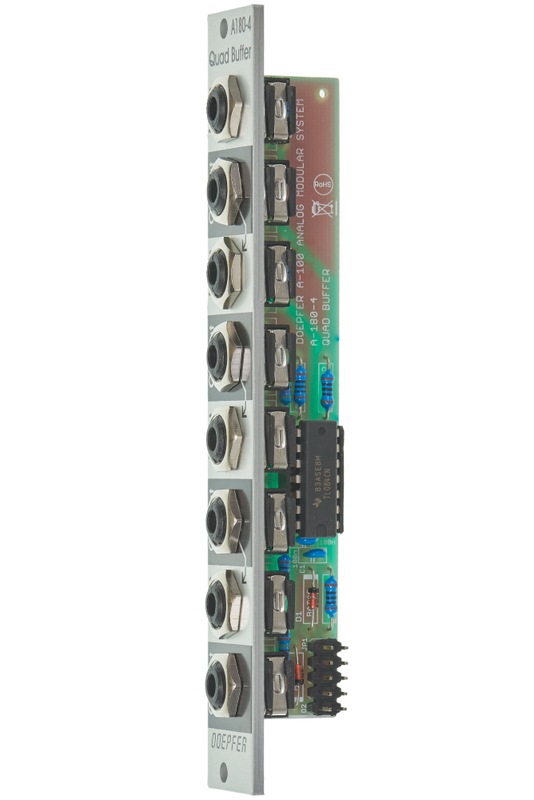 That way the module can work as 1-in-4 buffered multiple provided that no signals are applied to the inputs of the three lower units. 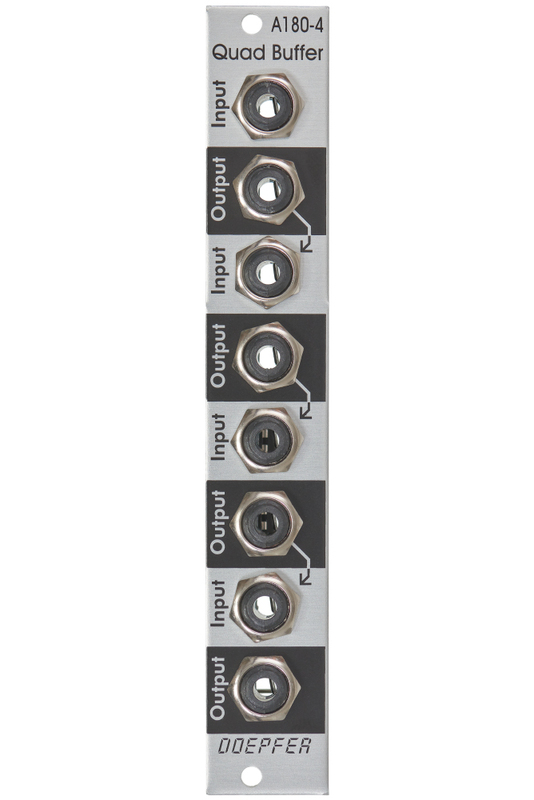 Buffering the outputs of voltage controlled switches (e.g. A-150-1, A-150-8, A-151, A-152). 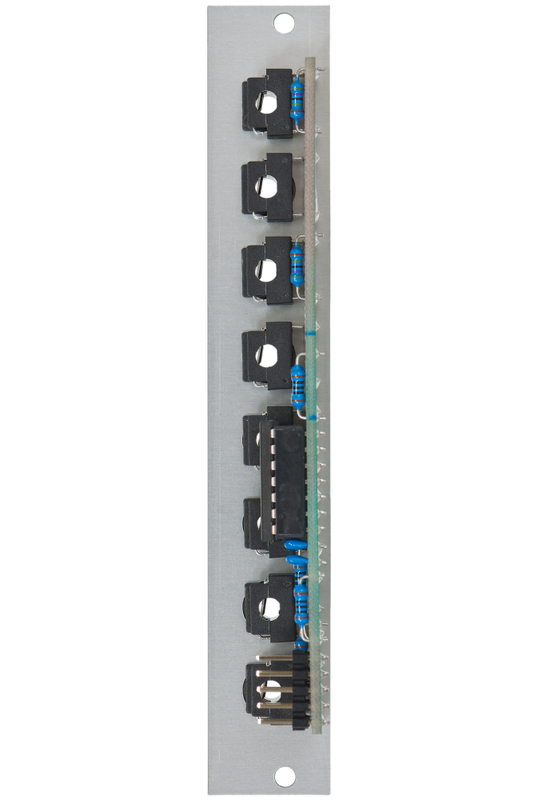 Comment: in case of bidirectional switches it's not possible to integrate the buffers into the switching module because the direction is not known (i.e. which terminal of the switch is working as input and which as output). All electronic switches suffer from a small residual restistance that may cause a small voltage drop without buffering. This may become a problem especially when VCOs are controlled by the switched voltages.